This guy is ready to “bump” his way into your heart! 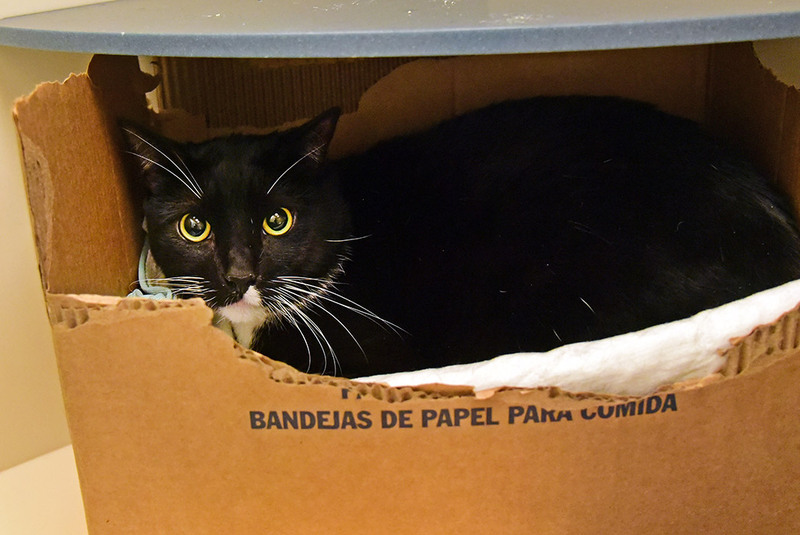 Bumper is a sensitive and shy kitty who is becoming more confident with each passing day. New people and places can be a little scary for Bumper, but with time he lets his sweet and loving sides out! Bumper absolutely adores scratches in the nice spots around his face and neck—just when you think you’re done he leans into your hand for more! And if you’re looking for a post-work dinner date, you’ve found the right guy! Bumper is a big fan of tasty treats and would love to join you. Bumper is looking to go home with an experienced cat adopter. He should live in a quiet household with children ages 12 and up.